Creatine Anabolic is an advanced creatine transport and muscle cell rehydration system, designed to optimise performance during high intensity exercise. Containing 6g creatine per serving. As with all exercise and nutritional programmes, please consult your physician first. Do not use if you are pregnant or lactating or if you have any medical condition. If anxiety, dizziness and depression are a result, lower dosage or stop use. Remember that an adequate state of hydration must be maintained when using this product. Have at least 8 - 10 large glasses of water per day. Taking more than the recommended dose will not improve results and may cause adverse reactions. For best results a sensible diet should be followed. 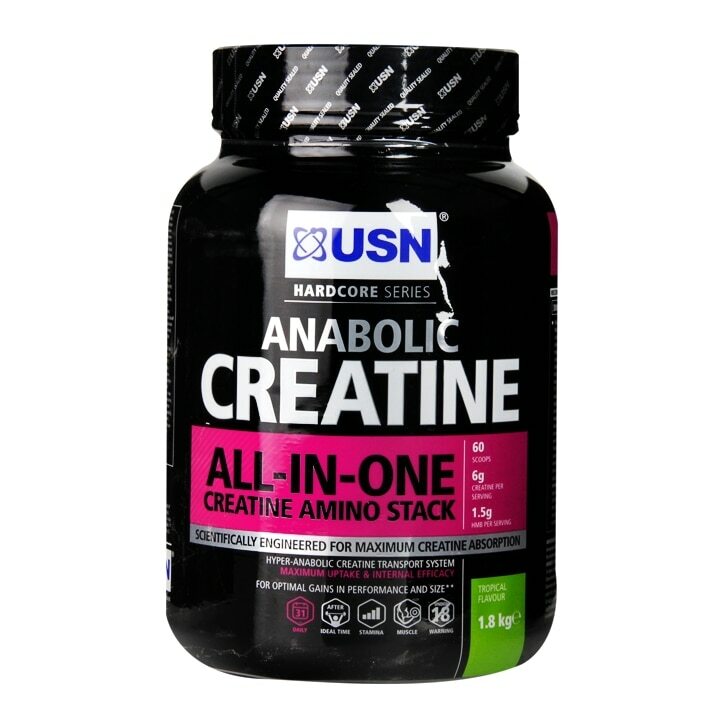 USN Creatine Anabolic Powder Tropical is rated 5.0 out of 5 by 1.